In Stock? 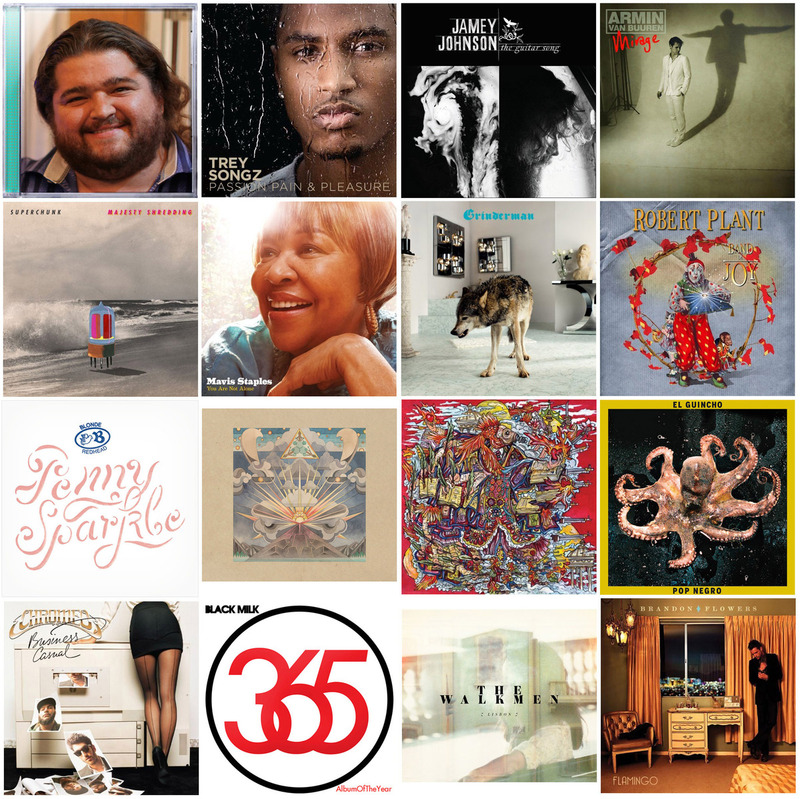 : Super Tuesday Release Party : The Record For the fall's biggest new music Tuesday, we call one of the country's biggest record stores to see which new records are in the building. Even at great record stores, you can't always find the albums you want. Sometimes the store has a particular specialty, sometimes the local audience doesn't support a genre, sometimes the price of an album doesn't justify the shelf space. Each Tuesday, we call record stores to see which brand new CDs they're carrying in stock. This week, as you might be able to tell from the enormous image atop the page, is a particularly big week for new releases, so I called just one record store, but that one store -- the Hollywood branch of Amoeba Music -- just happens to be the biggest independent record store in the world. That's according to Brad Schelden, the store's indie record buyer (you can read his contributions to Amoeba's blog here). I asked him which of the week's releases Amoeba had in stock, and which ones he expected to move out the door the fastest. Amoeba's huge, and pretty much the last big record store in Los Angeles, so I wasn't too surprised when Schelden told me they had copies of all 16 albums in stock and on the floor today. ("We're a pretty well-oiled machine.") So he one-upped my request and told me how many copies of each record the store had in stock. Within a range, anyway. "We don't want to give away all our secrets," he said. Since the shuttering of the Tower Records and Virgin Megastore locations in Los Angeles, more shoppers have come to Amoeba looking for mainstream records, Schelden says, but "the typical shopper is still in their 30s or 40s and wants physical copies of their music." There's also a new wave of "younger kids in high school or [their] early 20s that are really excited about buying vinyl." Still, buying for such a large store is an art more than a science. It involves "statistics and guess work," Schelden says, plus an ability to restock quickly when something unexpectedly sells out. Schelden says the store's employees make informal side bets on which of the week's new releases are going to move out the door most quickly. Last week, it was no contest. "Interpol was huge," he says, "but it was the only indie release. We sold hundreds and hundreds of copies. The next biggest were probably Robyn and Sara Bareilles. A little more mainstream." Promotion of a nearby concert by Interpol helped get fans into the store. Schelden says about 200 customers came in last Tuesday to get the record and tickets to the show. As for this week, Schelden put his bet on Blonde Redhead's eighth album, Penny Sparkle. They're "one of those bands," he says. Bands like "Belle and Sebastian, Arcade Fire ... when a new record comes out it's just a huge seller for us. Their fans love us. Or our fans love them." So far, he's losing. Brandon Flowers solo debut, Flamingo, is leading the pack. But Penny Sparkle is close behind, along with Weezer's Hurley and Grinderman 2, from Nick Cave's Grinderman. But not all fans come in on the day an album is released. Schelden says the customers likely to come to the store for Robert Plant's Band of Joy will probably wait for the weekend.